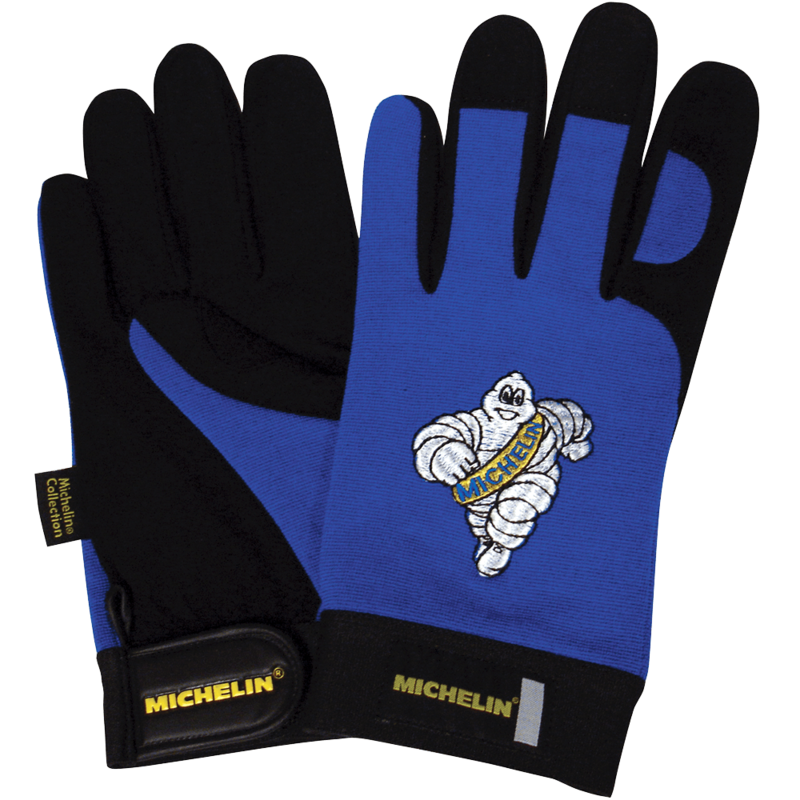 Useful around the home as well as in the shop, these Mechanics Gloves are high quality. From changing oil to cutting grass, protect your hands in style. 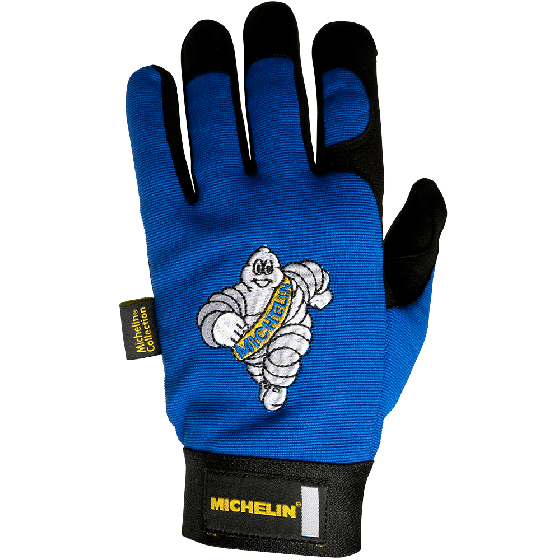 Blue color with official Michelin and Bibendum logos. 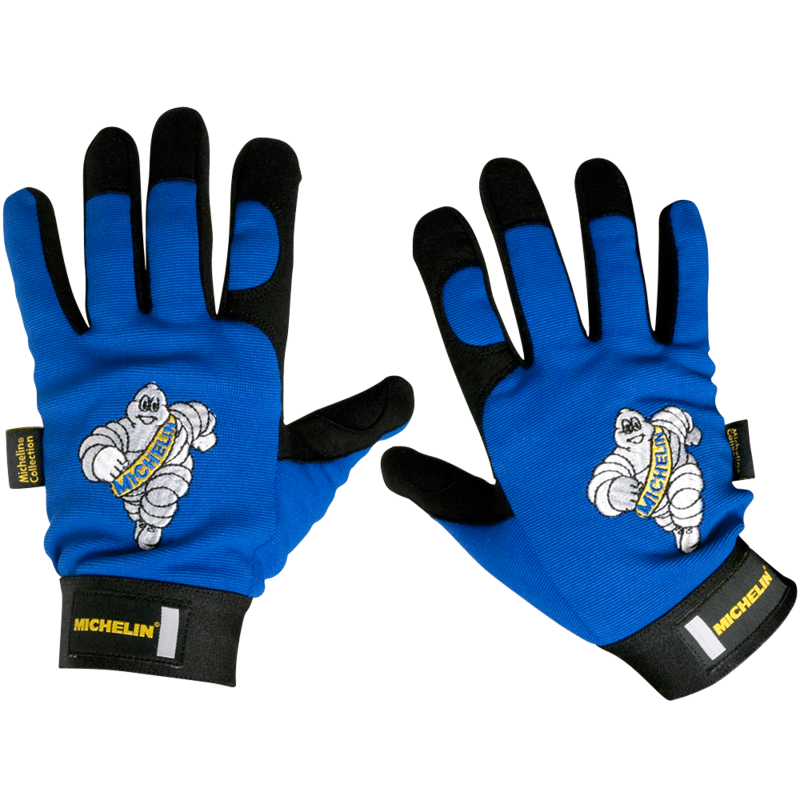 These are some of the most comfortable and stylish mechanic's/tire changer gloves you will find. 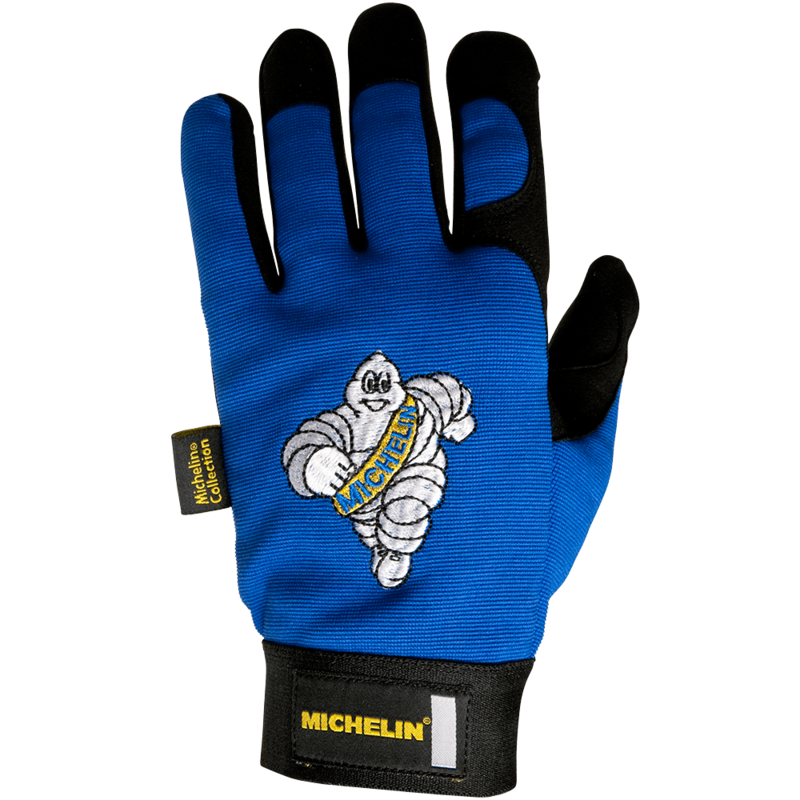 Available in five different sizes that sport vintage Michelin graphics. The ergonomic design that gives your hands the freedom to move with comfort and no fatigue. One piece palm, fingers greatly improve dexterity and sensitivity when driving or handling tools and other objects. Seamless woven elastic wrist snugger with adjustable hook & loop closure and reinforced hidden seams for greater comfort and no snagging. Fourchett pattern gives hand and fingers the ability to move naturally with reinforced fingertips and thumb helps gloves stand up to the rigors that drivers demand. Reflector wrist tab adds increased visibility at night. These might be the best mechanic gloves you'll ever own!